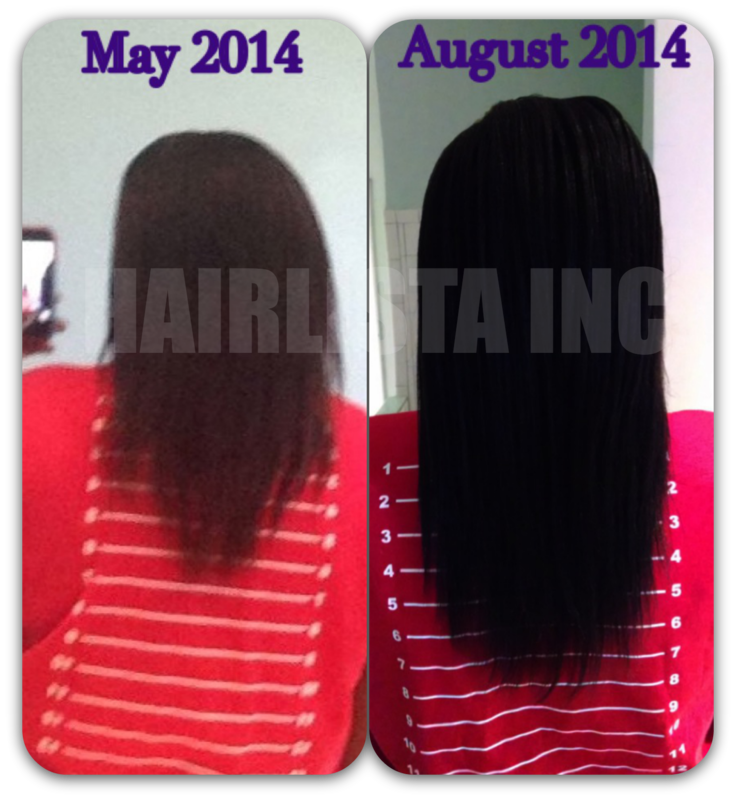 September 2014 - Hairlicious Inc. Sometimes a protective style needs some spicing up! I was heading out to a party and I thought, what is the quickest hair style I can do, considering wash day is tomorrow and I don't want to put heat in my hair as yet? So, I moisturized and sealed my hair, parted my hair straight down the middle, used a little bit of Aloe Vera Gel on my edges, then I put my hair in an Ouchless ponytail holder. I parted my ponytail in two (2), did a two-strand twist, wrapped it around to form a bun, then pinned it! Done. It's a quick protective/low manipulation style that anyone can do! 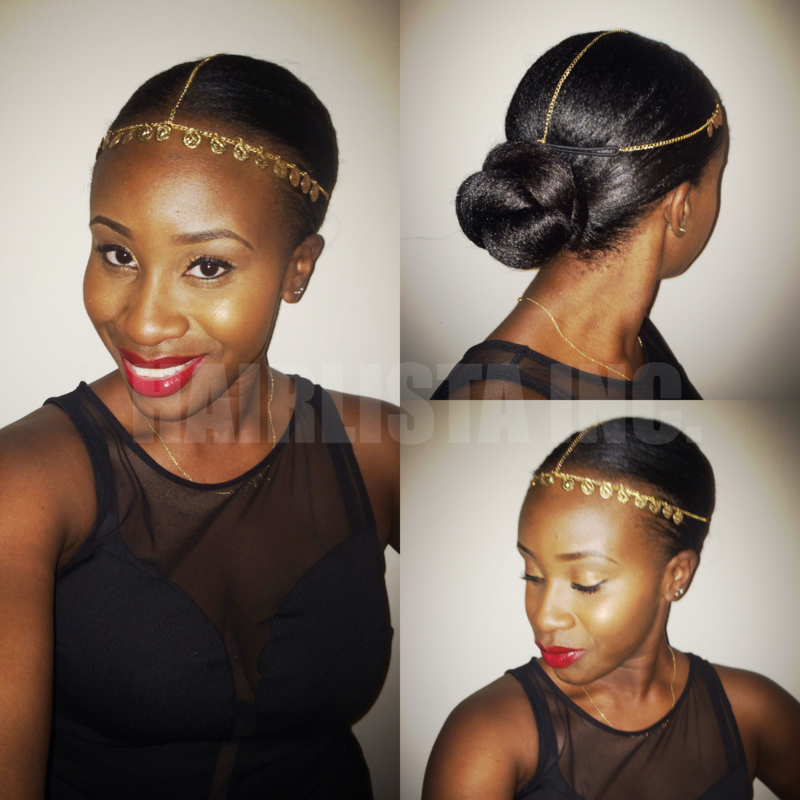 The gold hair chain is definitely a must-have in your hair accessory arsenal! Fall Is Officially Here! 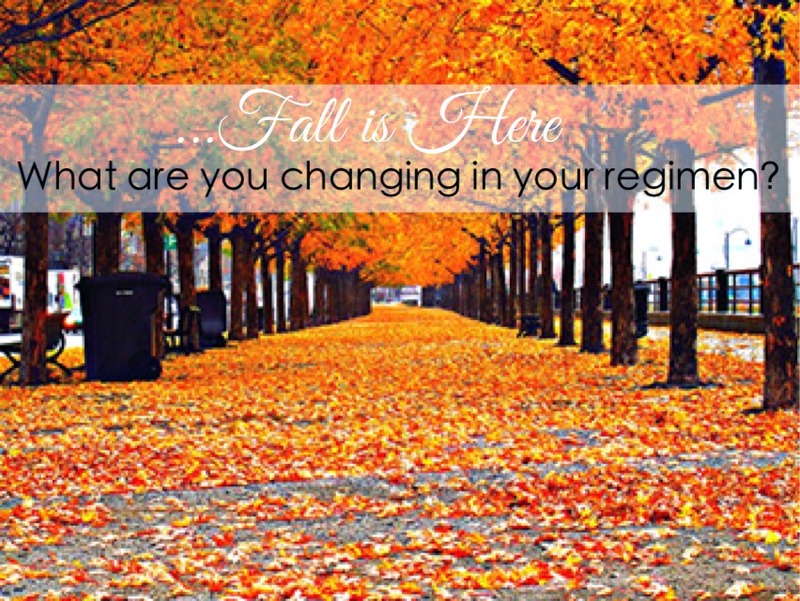 - What Is Your Fall Regimen? How does your hair behave in during the Fall season? What tools, products and/or methods are you set on incorporating into your regimen this Fall? Damp bunning is my favorite go-to style during the summer. 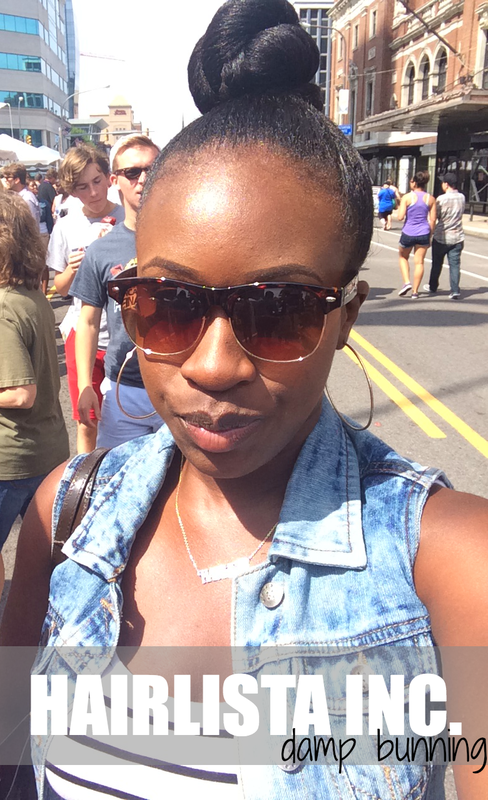 I’ve worn buns since the beginning of my hair journey in 2008, and it’s a staple of mine. It’s a low-manipulation style that allows you to lock in moisture for a long period of time. I bun my slightly damp hair on wash-days (after a deep condition or co-wash) or right after I moisturize and seal. Prior to bunning my hair, I focus on applying moisturizer down the length of my hair, and then I seal with a mixture containing olive oil, coconut oil and jojoba oil for softness. The trick is to put your hair into a bun immediately while your hair is still damp. Damp bunning has really made a difference in my hair’s ability to retain length during the summer months. The summer heat has a way of drying out my relaxed hair; however, damp bunning has been able to counteract those effects. My ends are protected, moist and happy which means less trimming! Bunning my hair while damp has helped me to maintain high moisture levels despite the hot summer sun. It’s quick and easy while on the go! I like to change up my buns too. I either opt for a damp sleek top-knot or a sophisticated low damp bun for the day! I gently brush my edges back with a soft boar bristle brush and go! Are you a damp bun lover? If so, what do you love most about it? 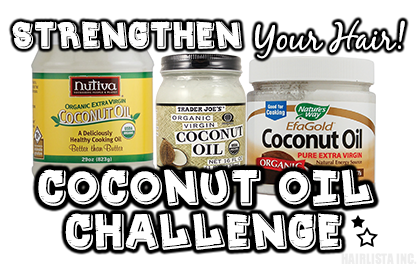 Coconut Oil Challenge Pt. 1 Winners! Mrs. Labady participated in the Coconut Oil Challenge at the Intermediate Level, which involved applying Coconut oil to her hair and scalp, prior to washing, for 20mins – 1 hour or overnight twice per week. This level also involved applying 1-2 tsp of Coconut Oil to her weekly deep conditioner, while using heat. Awesome growth & thickness hun! Tisha participated in Coconut Oil Challenge at the Basic Level, which involved applying Coconut oil to her hair and scalp, prior to washing, for 20mins – 1 hour or overnight, massaging it in while focusing on damaged areas once a week. Congrats on your fabulous growth! Two(2) Amazon.com gift cards valued at $75.00 each. 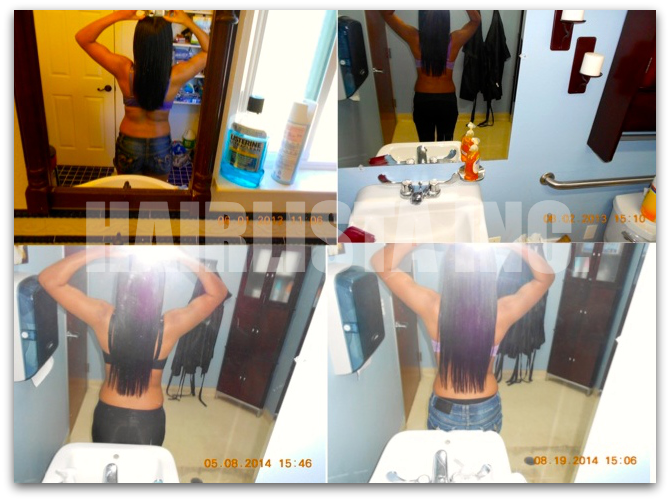 Congratulations ladies on your longer, thicker, healthier hair. Enjoy your prizes! Are you a fan of light or heavy sealants for your hair? Everyone's hair is different and reacts differently to certain oils. Some have fine hair; therefore, light oils such as Coconut oil, Grapeseed oil etc. are perfect for sealing the ends without weighing the hair down. On the other hand, there are thicker hair textures that require something a little heavier, than the light oils, to lock moisture into their strands. I have dense, wiry, coarse strands. My hair craves a lot of moisture and heavier oils to prevent moisture from escaping my strands. Heavier moisturizing products have helped to minimize split ends. 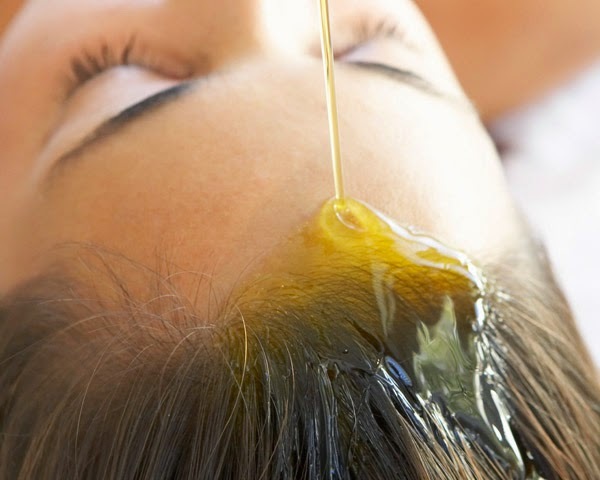 Heavy oils consist of Olive Oil, Castor Oil, Jojoba Oil etc. Recently, I've fallen in love with Extra Virgin Olive Oil (dark green) as a sealant. It's very rich and slightly thick/heavy in consistency. It provides perfect coverage and intense shine. It's ability to lock in moisture is great and my hair remains moist and smooth. My ends love IT!!! My question to you is, does your hair prefer Light or Heavy sealants? If so, what do you think is the reason? What oils are you currently using? Which consistency (light or heavy) allows you to retain the most moisture? Have you ever experienced dehydrated, brittle hair from the hot sun? I’ve had my share of bad summer hair days. But over the years, I’ve developed a simple solution that has helped to bring my hair back to life. It’s simple: I mist my hair throughout the day for a boost in hydration. Not only does this trick help in re-moisturizing my hair, it also helps to re-fresh my style so that it remains vibrant throughout the day, and it also provides shine. I use a couple simple liquid solutions to combat dryness in the summer months. First, I make sure I have my trusty spray bottle, preferably in a travel size so that it’s portable in my handbag wherever I go. My go-to mixture is 20-25% Glycerin with 3-4 parts distilled water to dilute it. Distilled water is the best for healthier hair, as there are no chlorine or calcium/mineral deposits in it as opposed to hard water. Sometimes I’ll add a little bit of 100% aloe vera juice for a little kick in hydration. I usually add approximately ¼ cup of aloe vera juice to my glycerin and distilled water mixture. The mixture has superb moisturizing properties jam-packed with nutrients to promote healthier hair and scalp. I preserve my mixtures by storing them in my fridge. The added bonus is that the cool temp helps to close my cuticles too. For dry summer months, misting is the way to go! Glycerin is a potent humectant that draws moisture from the air into the hair. It’s amazing at softening and hydrating my dry thirsty hair that has been scorched from the sun. 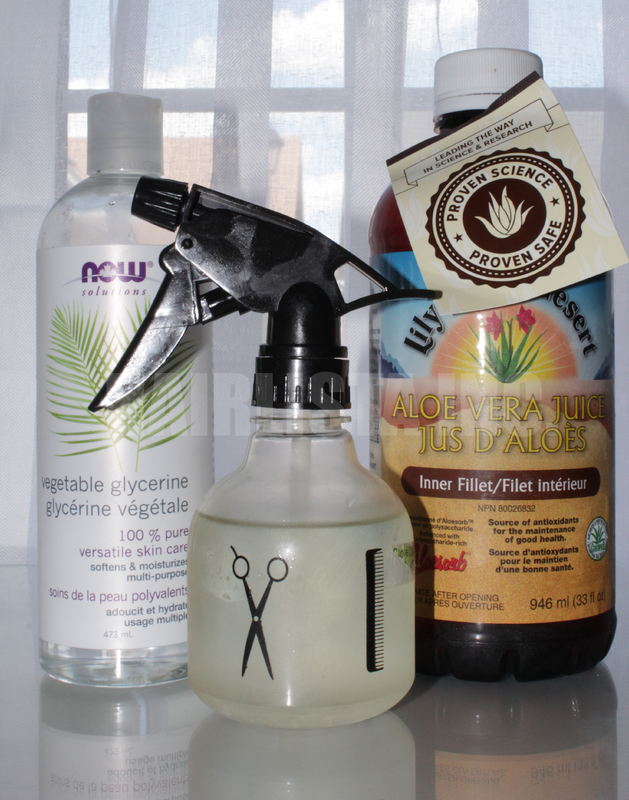 I spray this combination in my roots, my ends and all throughout my hair. But, I don’t saturate my hair with it; I just spray enough to lightly moisten it so that my hair is slightly damp. I’ll mist my hair while it’s loose hanging down, or while it’s in a style. I mist as often as once or twice daily, depending on how dry and hot the weather has been. Always listen to your hair. Years ago, I would find myself at the salon every other Saturday morning getting a wash and set or every 8 weeks getting a fresh relaxer. Back then; the salon was my refuge. My stylist was my hair doctor and I gave her full control. Once I became more knowledgeable about relaxed hair and how to properly care for it, I started to care for my hair in the convenience of my own home. First, I had to reprogram my thinking and understand that it’s okay to wash and deep condition my hair at home. For years, I left my hair in the hands of someone else because, in my mind, it was a taboo to wash my own hair. It was so foreign to me when my friends told me that they washed and conditioned their hair at home, I looked at them like they had 5 heads! Sad to say, prior to my hair journey, my mind was filled with the typical hair care myths regarding black hair. In hindsight, I had no knowledge or control over my hair. I never took the time to understand my hair’s needs and wants, I never knew I could wash it and condition it at home. But once I took matters into my own hands I was able to grow healthy hair. In fact, it’s quite liberating! Now that I have a greater understanding of my hair, I perform 90% of all my hair care needs right in the comfort of my home i.e. wash, deep condition, relaxer, etc. Not only have I saved a lot of money going this route, I now have a certain level of confidence when handling my hair because of the hair care knowledge I’ve gained throughout the years. I actually find it harder and harder to find stylists that understand and encourage my healthy hair care practices. I’ve learned to carefully detangle my hair from the ends up, use wide tooth-combs at all times, relax only the new growth, pass the flat iron through my hair once, instead of 4-5 times to get it straight. Don’t get me wrong; salons will forever have my support. Sometimes it’s fun to pamper yourself and have someone else do your hair. However, implementing these simple yet crucial practices have helped to improve the health of my hair dramatically. How often do you visit the salon? Has your salon attendance decreased since you’ve been on your hair journey?